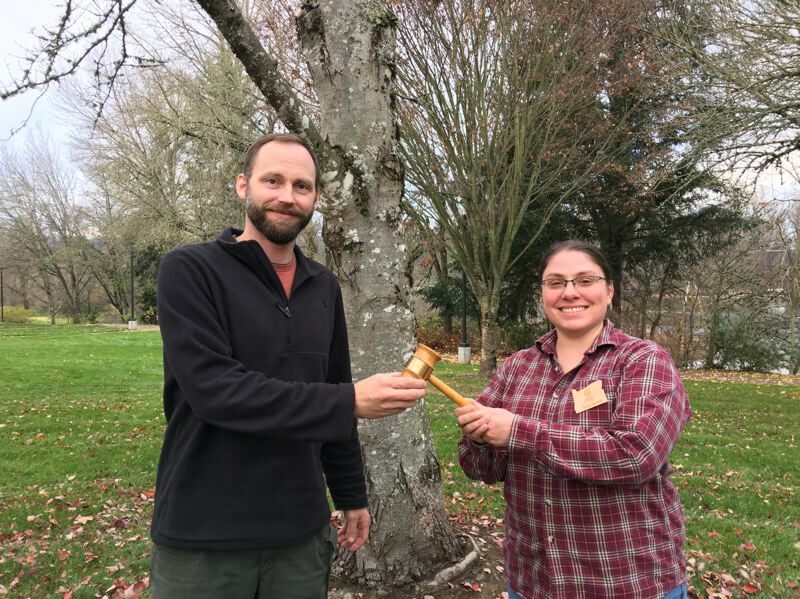 Oregon City resident Samantha Wolf has been elected president of the board of Oregon Community Trees for 2019-20, replacing Eric DeBord of Eugene, who completed his presidential term at the end of February. As board president, Wolf said she hopes to expand educational opportunities for urban foresters across the state through pruning and street-tree selection and installation workshops. "We have some exciting programs coming up," Wolf said. "The annual urban-forestry conference we co-sponsor with Oregon Department of Forestry is June 6 in Portland. It's the largest such conference in the state. Speakers will focus on how cities and towns can ensure adequate space is available for trees." An employee of Clackamas County, Wolf has coordinated the county's Dump Stoppers program since 2017. In 2016, she completed Clackamas County's Urban Lumber Project, and this year has helped research the possibility of using cross-laminated timber in the new Clackamas County Courthouse. Wolf received her master's degree in 2013 after studying forest ecology and climate-change impacts at the University of Michigan. Oregon Community Trees directors are chosen for their wide range of knowledge on urban forestry issues related to runoff and erosion problems, including techniques for improving the resiliency of an existing urban forest. Wolf said they are hoping to help initiate new urban-forest programs in communities that do not currently have them. Starting this year, the nonprofit organization increased its number of grants supporting community Arbor Day celebrations across the state.